Convenient and easy to use, the Calphalon single pot rack hook attaches to any Calphalon pot rack. Made from strong and durable aluminum, it is quality-made to last as long as the cookware that you hang on it. Packaged in a set of two, this space-saving hook is backed by a manufacturer's lifetime warranty. Keeping your kitchen necessities within easy reach, this single pot rack hook is a great storing option for a pans, lids, and cooking utensils. 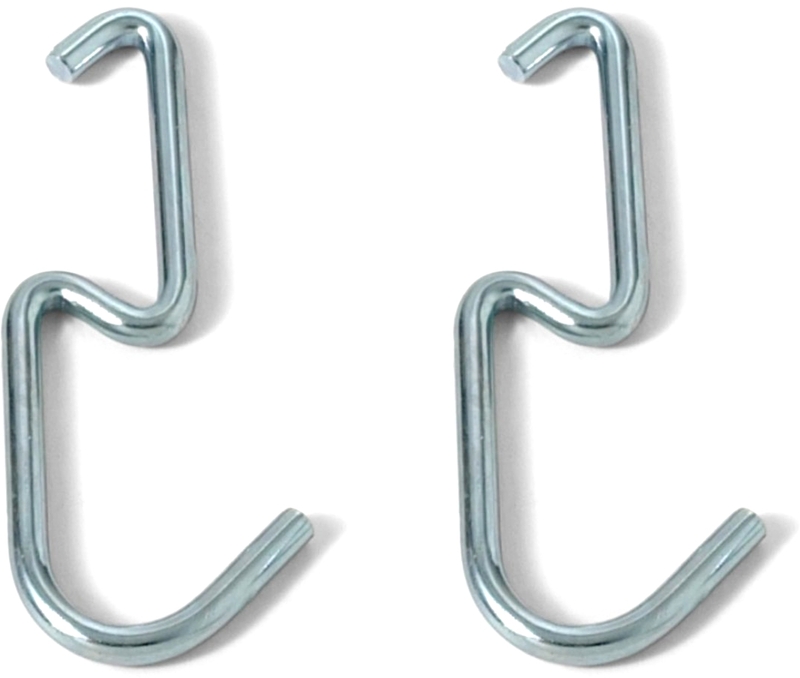 Backed by a manufacturer's lifetime warranty, these hooks are great for dorms and small apartments.